Thomas Slatery, Systems Administrator at Greyhound Recycling, explains why he choose Appogee Leave. 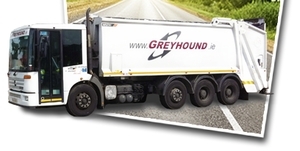 Greyhound Recycling are the leading domestic waste collection service provider in Ireland. With over 20 year’s industry experience and over 350 staff, they are going from strength to strength with continued expansion throughout the country. Shortly after setting up Google Apps, Greyhound Recycling wanted an App to improve the way that they managed their employee absence. Appogee Leave provides a simple way to manage employee absence without the need for forms. Not only does this save paper but it also saves time for both employees and approvers. Appogee Leave is integrated with Google Apps so is always instantly available from the Universal Navigation bar. A leave request can be created in seconds and an approved just as quickly. Appogee Leave offers a fully automated system so every step of the approval process is logged within the system and an employee’s holiday allowance is dynamically updated accordingly. No missing forms, and no mistakes over holiday allowance! Greyhound recycling no longer use absence forms as 100% of their staff use Appogee Leave to manage their employee absence. “We trust Appogee Leave, it’s a useful app and it helps manage all holidays and sick leave efficiently so that we don’t have to”. Appogee maintains a close relationship with all of it’s customers and will continues to develop Appogee Leave off the back of customer feedback.